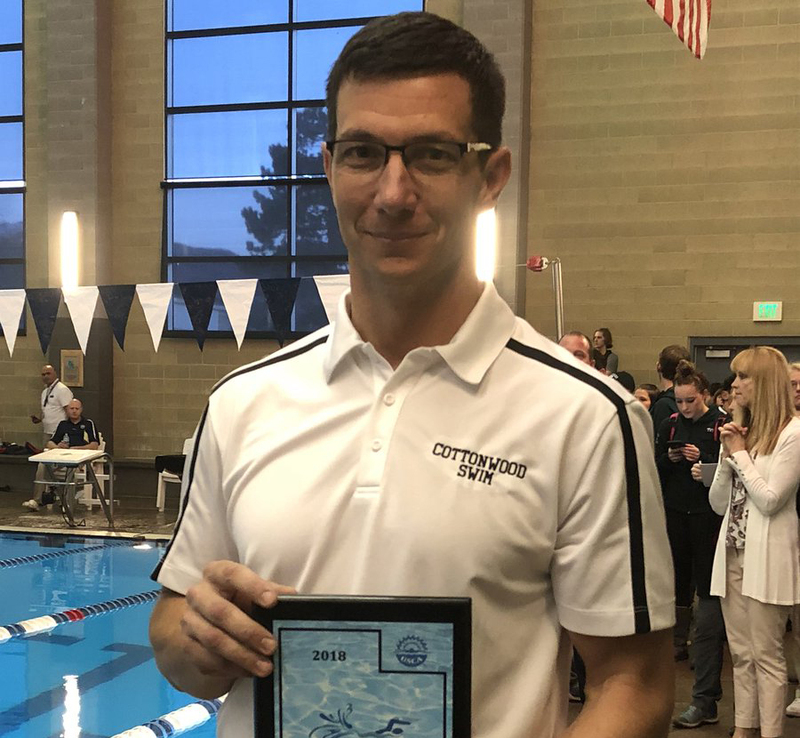 Cottonwood High School swim coach Ron Lockwood was just named the West Coach of the Year for Boys Swimming & Diving by the National Federation of State High School Associations. Coach Lockwood was nominated by the UHSAA as the most deserving recipient for this honor amongst coaches of the sport in Arizona, California, Hawaii, Nevada, and Utah. Last year Coach Lockwood led the Cottonwood girls team to the school’s third state swimming championship (last one being in 1981), and the Cottonwood boys team to a second place finish at the 5A state finals.